Engine 86 - Roots, Rock and Rails: Engine 86 Hosts the #LRHD2017 Main Stage! Engine 86 Hosts the #LRHD2017 Main Stage! 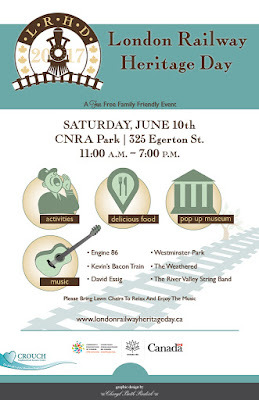 Engine 86 will be playing the main stage at 3pm at this FREE community event. Railway fans of all ages are welcome. We are proud to share the stage with 5 other incredible acts in all genres, truly something for everyone. All times are approximate. Be Sure to show up early to catch your favorites and bring a lawn chair! There's going to be fun activities for the kids and adults alike. 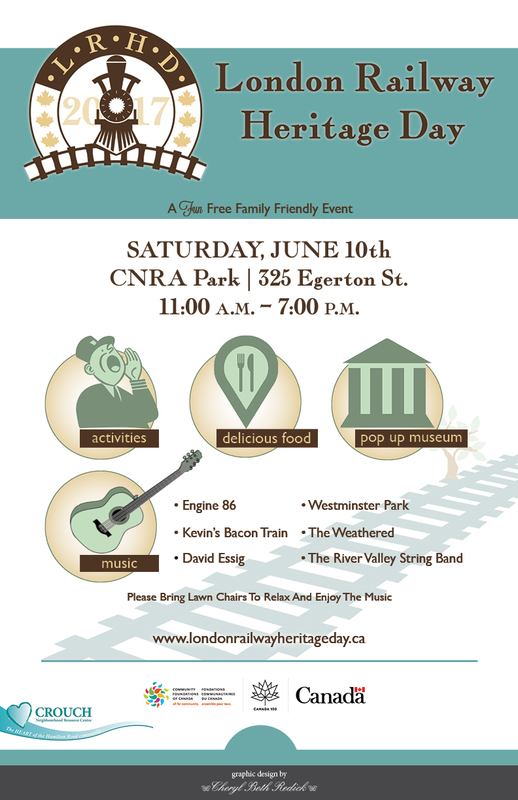 A train ride through the park, a raffle for free Via Rail tickets, a conductor's call competition, train memorabilia displays and fabulous food trucks! We hope to see you there! Whoooot WHoooooooo! © 2015 Engine 86/Ian Gifford. Simple theme. Theme images by PeterJSeager. Powered by Blogger.